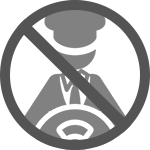 The business of car hire without a driver is aimed at companies, individuals and tourists who are offered a wide range of vehicles all periodically renewed in order to ensure maximum passenger safety. Minivans and buses with 7-9 seats are available for day trips, weekends or whole weeks. Whilst for removals and “do it yourself” transport, you can choose one of our trucks and vans. You can hire a vehicle without a driver for any destination, in Italy and in Europe. On request, we can deliver the vehicle to a previously specified location for a small fee.